For autistic artist-researcher Dawn-Joy Leong, spaces are vividly coloured by scent, sound, sight and touch — sometimes overwhelming, even disgusting, at other times relaxing, harmonious, or gloriously amplified. Leong explores her heightened sensory experiences of the world through her art and writing, encouraging her audiences to engage with their own sensoriums, at the same time opening up avenues of empathy and communication between ‘neurodiverse’ and ‘neurotypical’ populations. I spoke with Leong about her recent work, exhibited at the Big Anxiety Festival in Sydney this year. 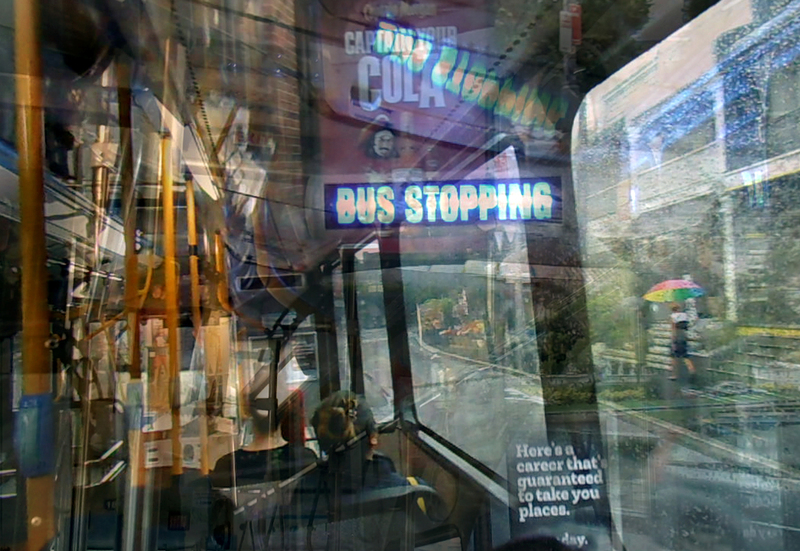 Chloe Watson (CW): In your video work An Olfactory Map of Sydney you narrate in a poetic, almost musical internal monologue the intense, often unpleasant smells that you encounter as you travel from suburb to suburb by bus — stale perfume, baby vomit, garlic hair. Your sharp, detailed descriptions of these scents contrasted with the double vision of the video imagery, its hazy overlaying of point of view shots. Is scent the sensory modality that most affects you? Can you tell me more about the interaction between different senses in your experience of the world? Dawn-Joy Leong (DJL): Scent is definitely a high-impact stimulus for me. The other is noise. The senses are seldom isolated, and the real-time experience is always like a cacophonic counterpoint. On good days, the interaction is akin to a Baroque or Classical piece, where lines, intersections and harmonies are easily identified. Although there is movement and dynamic interchange, it is not overly burdensome. Sensory overload develops when the stimuli become more intense and thick, I liken the experience to being physically trapped inside a Wagnerian opera blasting the entire corporeal existence at full assaultive volume. I become quite literally sick from heavy noxious smells, pounding vibrations, continuous exposure to bright lighting, extreme heat or cold, air density, rough textures against the skin, etc. CW: Your spoken words in An Olfactory Map of Sydney drew me to notice the scents that I might otherwise have ignored in the space around me at Customs House — body odor lingering in the lift, old books, cleaning product on bathroom floors. Scent is such a vital sense that brings with it, for me anyway, so many memories and associations. Do you associate particular smells with particular places, from your childhood perhaps, or places that are very special to you? DJL: Yes. The library areas in Customs House do each have their own pervading scents – the heaviest being the ground floor, where one ‘pod’ from my other exhibit, Clement Space, is situated. That enclosed area was particularly confronting – musty, stale and thick atmosphere, layer upon layer of sweat and other bodily odours permeated the entire area. Ironically, that space was supposed to be my ‘signature’ space for that exhibit. Even now, away from the room, a multisensory aura lingers in my mind. Places do leave strong olfactory imprints, some rather pleasant: one of my favourite memories is that of Le Mont St Michel, France, at 6.30am on a misty, cool morning. It was my first time there, and the scene was not only visually breathtaking, but I remember the combinations of smells even now, more than twenty years afterwards. There was a mustiness in the air too, but different from Customs House, it smelled of very old stone walls and moss. I can literally taste it too. Of course, the scent of freshly baked croissant threaded through this rich tapestry makes the whole [thing] unforgettable. My other favourite scent is that of Lucy, my Greyhound. I call her my ‘Warm Vanilla Hound’ simply because, to me, she smells of warmth and vanilla. A comforting refuge from the sensory assaults of daily living. CW: The spaces you created in Customs House for your work Clement Space in the City were intended to provide a respite from the cacophony and discord of Circular Quay and the bustling city beyond it. 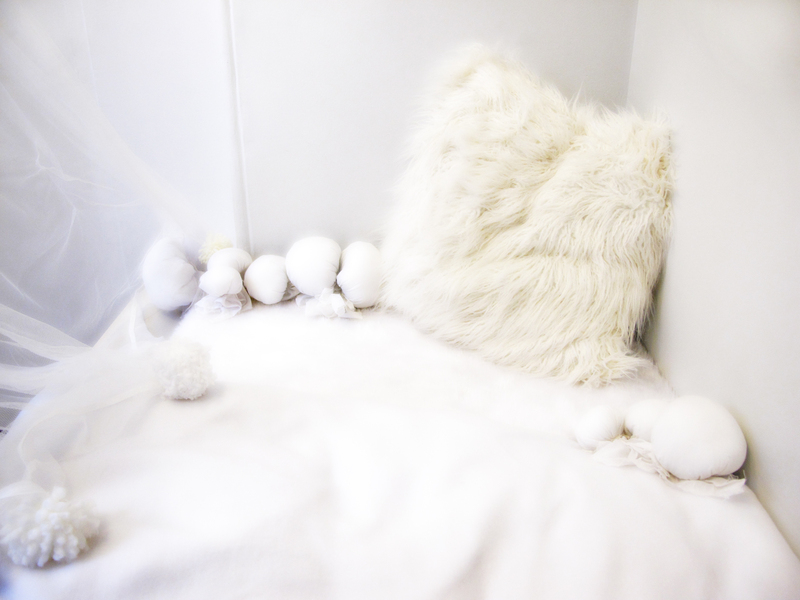 Spotted throughout the building are white tulle cocoons, on book-shelfs, around corners, in nooks and crannies. Without these ‘clement’ spaces, where would you go to catch your breath and find momentary relief when stranded in the midst of a big city such as Sydney? How can we make our public spaces more amenable to neurodiverse populations? DJL: Clement Space in the City was inspired by Lucy, my psychiatric assistance dog, and her intriguing ability to take hold of and personalise her own comfortable space wherever she went with me. I noticed that even when she lay on her mat and looked as if she was fast asleep, she would still maintain a kind of sensory connection with me, she was always somehow aware of my state of being, and ready to rise up and warn me if she sensed I was approaching sensory overload. Having Lucy with me has taught me to become even more aware of my sensory needs — the need for respite, especially. I now actively seek out quiet spaces whenever I feel fatigued by noises, lights, smells, and human interaction. Public space design is a tricky subject. What may work in one person’s imagination may not serve effective purpose in practical situations. I notice that building materials, together with interior décor, often reflect and magnify noise, vibrations, and trap odours. Lighting is also usually harsh and punishing for the light-sensitive. Public spaces seem to be created for visual aesthetics alone, with little thought for the other functioning senses. The best way to create more amenable spaces for neurodiverse populations is to seek insights from neurodivergent people, of course. Sadly, I have yet to hear of such a practice. 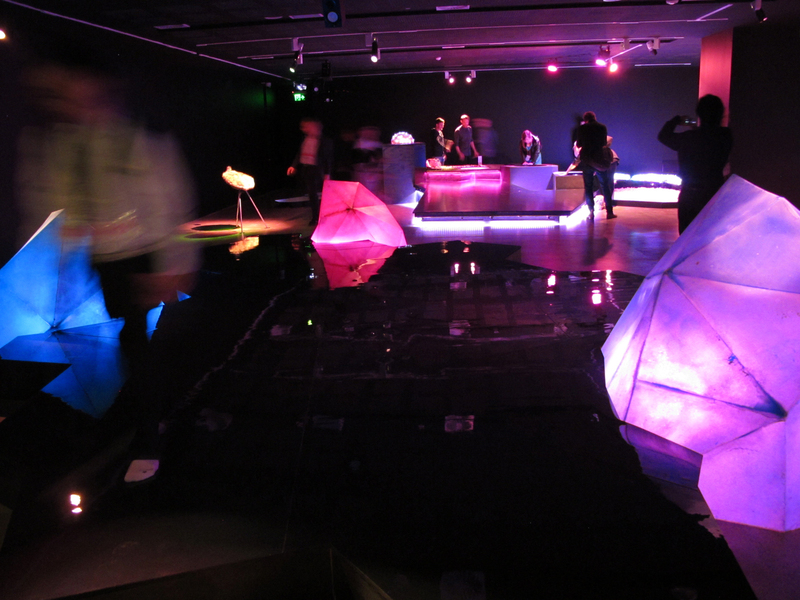 CW: A group of people, including yourself and other autistic artists, were consulted in the development of Snoösphere, a large-scale installation at the UNSW galleries. In a similar way to Clement Space in the City, this work was designed to mitigate sensory anxiety for the neurotypical and neurodiverse alike, replete with all kinds of objects and textures to interact with — some plush, some shiny, others vibrating, and even a foot spa! What was your role in the development of this project? 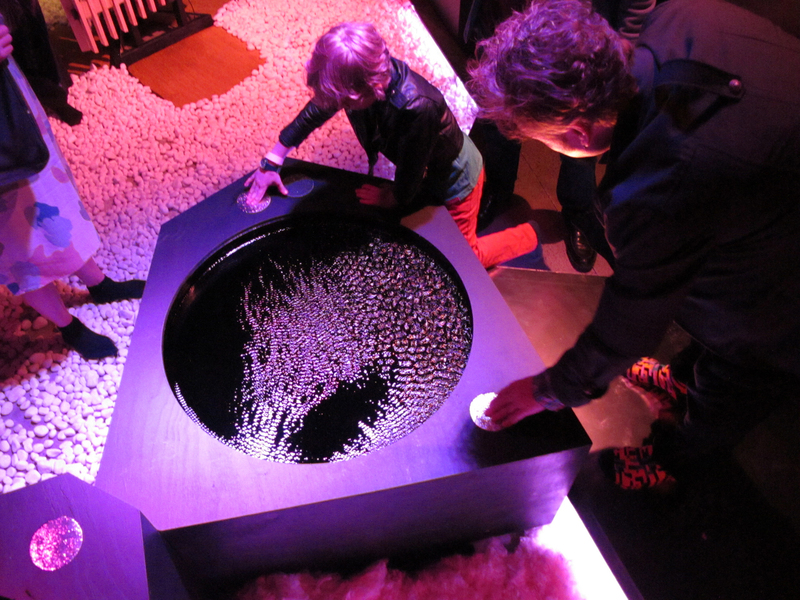 What kinds of insights did other collaborators provide into the role of the senses in the experience of space? DJL: My role in Snoosphere was as an advisor on aspects of autistic sensory acuity and idiosyncrasies. I also helped to contact autistic participants and coordinate the workshops. The autistic experience of space is a multi-dimensional and multi-sensory one. Insights from various perspectives within autistic sensory perception, generously offered by the participants, ranged from advice about lighting [to] preferences for certain textures, atmospheres and sensations, pleasing and repulsive smells, and even tastes. CW: You have touched upon some of the negative or distressing elements of sensory experiences for people on the autism spectrum. For instance, you have written that the dissonances and onslaughts of a big city — smells, sounds, hurtling bodies — often leave you ‘awash in a sea of sensorial fury’. But could you tell me more about what you see as positive elements of your unique sensory experiences of place? DJL: There are many positive elements in a hypersensory existence. Pleasure is, of course, heightened, and, compounded by the autistic detail-focused mind, the experience of the smallest components, minutiae, can be so much more amazing. Battling the neuronormative designed cityscape can be a constant struggle, and delightful sensations may be rare and hard to come by, however, I will not exchange my hypersenses for a life of sensorial placidity. CW: I am interested in the notion of a ‘mindscape,’ which you have referred to in your writing. I understand this as the internal or mental configuration of a person’s cognitive and sensory experience of the world — the landscape of the mind, the space of thought. Do you believe that we can ever access, or even understand, another person’s mindscape? In what ways do you think your art might take us a little bit closer to this endeavor? 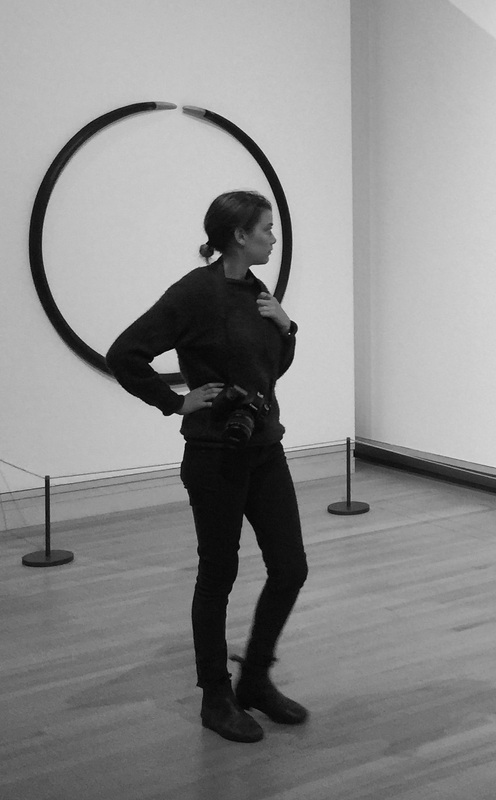 Have you encountered art by other makers that has changed the way you see or think about the world? DJL: I do not believe that anyone can fully comprehend or grasp the intricacies of another’s mindscape. However, connectivity can exist via sensorial and elemental channels, apart from, or in addition to, verbal interchange. My musical background influences my entire artistic approach, and I am very much influenced by the person, writings, thoughts, art and music of John Cage, who, I felt, had an intensely vibrant ‘sense’ for the world around him; he possessed the kind of ‘elemental empathy’ that I have written about extensively. CW: In your opinion, what role can and should empirical research, including psychological and neuroscientific studies, play in exploring/explaining autistic mindscapes? For instance, what do you think of recent accounts of ‘atypical’ sensory experience in autistic populations? In a paper published in Nature Reviews Neuroscience in September, Caroline Robertson and Simon Baron-Cohen argue that ‘sensory symptoms are core, primary characteristics of the neurobiology of autism,’ which may even predict or precede social and communication symptoms. How have you attempted to create a dialogue with such research in your work? DJL: Simon Baron-Cohen has come very late to the discourse on the sensory realm of autism. I disliked and disagree with much of his work in purported autistic empathic impairment and lack of Theory of Mind. My PhD dissertation explores and proposes an alternative kind of empathy, that of the sensorial, set within what I called “Space of Mind”. The sensorial dimension of autism has been emphasised for many decades by other autistic persons, one prominent one is Temple Grandin, who has lamented the utter disregard that neuronormative researchers have had for this aspect of autism through the decades. I suppose Baron-Cohen has at last caught up with what us autistics have been reiterating for the last two decades?